Are there any useful eco gadgets available today? A million dollar question! Eco gadgets as all of us are aware, are environment friendly and save us a lot in terms of energy bills and conservation. With the threat of global warming looming large, it is wise to shift to a more eco-friendly lifestyle, without a doubt. In this piece, we have analyzed the presently available gadgets and tried to showcase the more useful ones. In fact, there are many more of such gadgets across the globe, however, not many suit our present lifestyles. Check out his list and find out how you can substitute the presently used energy-gobbling products at your home or office. 1. 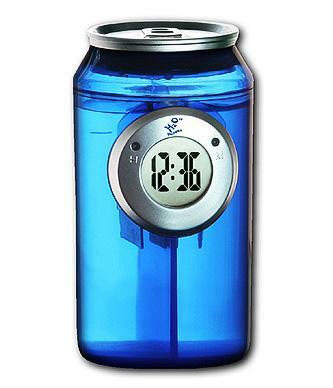 Water Powered Can Clock : Manufactured by H2O Power, this can shaped clock is powered solely by water and incorporates the latest long-life hydro-power technology. Although, the device looks a little weird, consider the possibilities of its uniqueness sitting in your drawing room. Actually, it is quite stylish the clock itself has a high contrast display. All you need to do is to water and check levels every six months or so to enjoy the clock and save on the free energy it runs on. Depending on your choice of colour, or to match the aesthetics at your home or office, you can choose from green, blue, black or even red. Priced at about $18, this piece is a real steal considering that you actually don’t need to power it or maintain it. 2. Bedol Water Clock : Water clocks seem to come in many shapes and sizes now-a-days. This is a smaller cousin [4.5” x 3.5”] of he above featured water clock and is also a travel mate, i.e. if you are used to travelling with one. This would a refill of water every quarter and does not any other power source like a battery or electricity. It derives clean and eco-friendly power from water by a unique technology of ionization.$$$ To add, it comes with an integrated memory IC that remembers time so that you will not need to reset it. 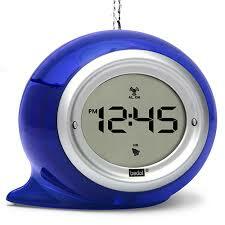 Another great feature is that it comes with a daily/ hourly alarm feature. The Bedol water clock is available in a variety of colours to choose from, making it an ideal clock to adorn your home or office. 3. 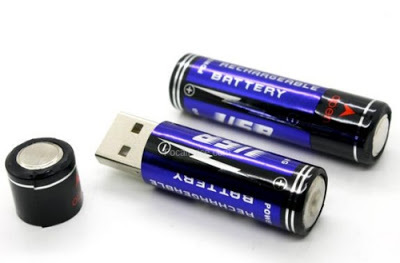 USB rechargeable batteries : One of the major contributors to toxic waste is the alkaline batteries that we dump annually. To avert and avoid such harmful waste that contributes to global warming, we can use these unique sets of USBCell rechargeable batteries. These batteries look and act exactly the same as the normal AA batteries that we use in numerous devices across our homes and offices. The positive end of these batteries can be opened to reveal the USB plug which can be connected to any USB outlet for charging. Once charged, all you need to do is to just close the cap and insert into the device you want to use them in. Another great feature is that these batteries can also be charged with a standard NiMH charger. USB charging time for these batteries is about 5 hours and you can buy a pair for about $18. 4. Eton Mobius : Coming from the renowned green product manufacturer, Eton, this product is meant for iPhone 4/ 4s to recharge on the go. 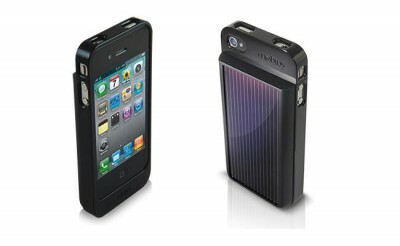 Designed as an iPhone case with the back cover featuring a solar panel, the Mobius is thus a dual function device. In addition to adding juice to your iPhone battery, it also protects it. Remember, this is not a full-fledged charger for your iPhone. It is only a free energy alternative to pep it up, lest the charge goes way down while travelling or working late. In fact, an hour in direct sun will give it as much juice to enable you to make 2/3 short calls. However, the energy is free and this amazing device costs around $60. 5. Hövding “Invisible Bike Helmet” : Talk about intelligence and eco-friendly products, this one will rank way above the rest. Once you lay your hands on this helmet, you will not need another to ride your bike. 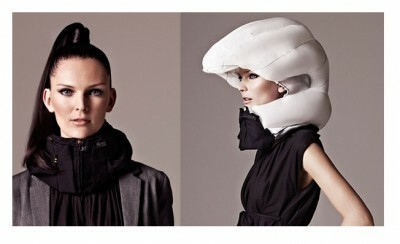 This helmet is actually designed to be a hood for cyclists. The Hövding “invisible” comes with an intelligent algorithm that can differentiate between normal cycling and abnormal cycling movements. Abnormal, essentially means, movement that can induce accidents. When you wear this helmet around the neck, this Hövding helmet is automatically deployed when the cycling motion seems to be abnormal and protects your head from possible impact by opening up the comfortable airbag around the head and neck areas. In addition to being a safety device, the Hövding is also, fashionable waterproof and ergonomic. The shells can also be customized as per your tastes. 6. SolSource BBQ : If you are an epicure and love the outdoor social gatherings, acquiring the SolSource BBQ can be a great money saver. 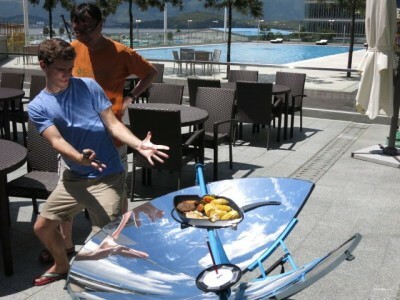 This BBQ can broil, bake, grill, fry or steam your food as needed without the aid of any power source or burning fossil fuels. The SolSource BBQ is a 4’ wide satellite dish with a missing pizza slice. There are no emissions and is completely carcinogen-free, making it an ideal gift at Christmas. Manufactured by SolSource, the claim is that each of these units can offset the carbon footprint of 4 Americans and the equipment is manufactured with a sustainability process with 100% recyclable materials. Isn’t today the right time to find out? 7. Water Pebble : We have grown up wasting water without actually realizing that we are doing so. If some of us do not agree, think! Don’t all of use the same flush volume of water for poo and pee? Additionally, there is the psychological problem of taking longer showers than we need to and the luxurious baths. Water is an important resource and there is no point wasting it, especially so, when some societies suffer from lack of it. One good way to reduce water consumption is to keep tabs on it consciously and that is exactly what this water pebble does. All you need to do is, get one and place it near the drain. This device will monitor the amount of water going down and will thus enable a benchmark. Additionally, it will reduce the shower time by 7 seconds with each subsequent shower, creating a habit in you to take shorter showers. The red, orange and green lights will indicate the amount of water used. 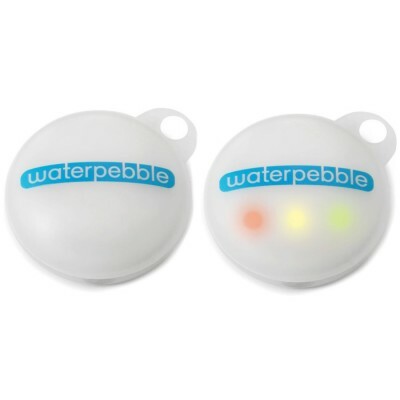 The water pebble is inexpensive and costs about $15 only. 8. 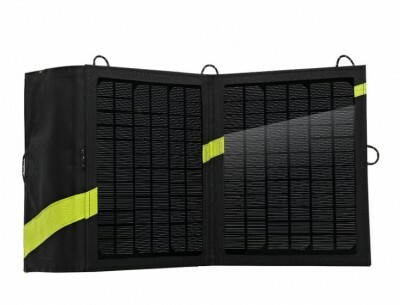 Goal Zero Nomad 13 Travel Solar Panel : Are you travelling, to another city, going on a hiking trip or going trekking? In which case, how do you propose to keep your mobile phone/ tablet, laptop or any other devices that you may be carrying for days on end? So, when you decide to go off the grid in search of adventure or peace, it is wise get one of the Goal Zero’s Nomad 13 solar panel to charge your lights, phone, laptop or any other device that is rated less than 13W. Compared to other panels available, this one is the most versatile since it has an internal battery to store excess energy and you can add to these batteries, in case you need more. This panel is powerful enough to recharge your laptop and comes with a 12V output cable, USB plug and a connector to connect to other solar panels. In addition to the capability of charging multiple devices simultaneously, it comes with a pocket to store you device cables. Weighing only 2 pounds and sized a little larger than an iPad, this is an absolute necessity for those who travel frequently. Gauging by the use, the price is an inconsequential $160 (approx). 9. 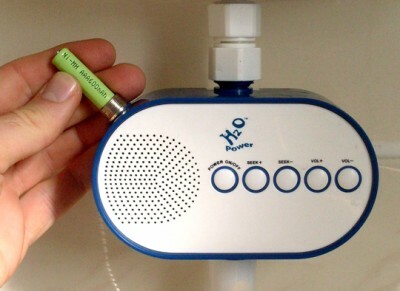 H2O Water Powered Shower Radio : This is the world’s first water-powered radio that runs solely on water power without any batteries or external power supply. Amazing but true, this baby integrates a mini power turbine that powers by the water pressure. It also stores excess energy, when not running, in an inbuilt battery that will extend its life beyond the shower. This radio is also intelligent enough to store the last station tuned and the volume, so that you don’t need to keep adjusting every time. Designed to fit on top or below the faucet, this radio weighs a little over 250 grams and its dimensions are 13.1 cm L X 7.45 cm D X 4.25 cm H. It comes with a FM receipt range of 87.5 to 108 Mhz, has a FM sensitivity of 15uV and is capable of audio output power up to 80mW. It costs about $60 and should be a favorite with music lovers, especially the bathroom singers. 10. Eco-Amp : The oddity that you see above is actually a power-free amplifier and a passive speaker that improves the sound clarity and volume. Made from completely renewable materials and initially designed for iPhones and iPads, works on all devices that are presently used. Made in the USA with FSC approval from 100% fiber paper [post-consumer], this is a set of cones as it the picture above, one plain and the other printed using soy-based ink. Assembly and disassembly is as easy as tearing paper and it sticks to the device using glue that does not leave residue. At $10 a set, these speakers are a steal for those who love carrying their music around. With going green becoming the buzzword and spreading like wild-fire, it is time we did our bit for the planet and the generations to come. Grab any of the above devices if you feel they are useful to you. Saving energy or saving money is not the slide rule to use these devices. It is caring for the environment and sustainability that are at the forefront of the green revolution. Thank you for reading this, we will be back again with more eco-gadgets that are useful as well as needed. These are very interesting! 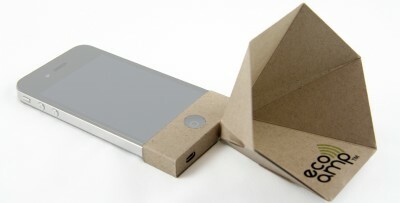 I can see myself giving the Eco-Amp to my friends and family as gifts for Christmas! Thank you for these gadgets, and I can’t wait to order some!